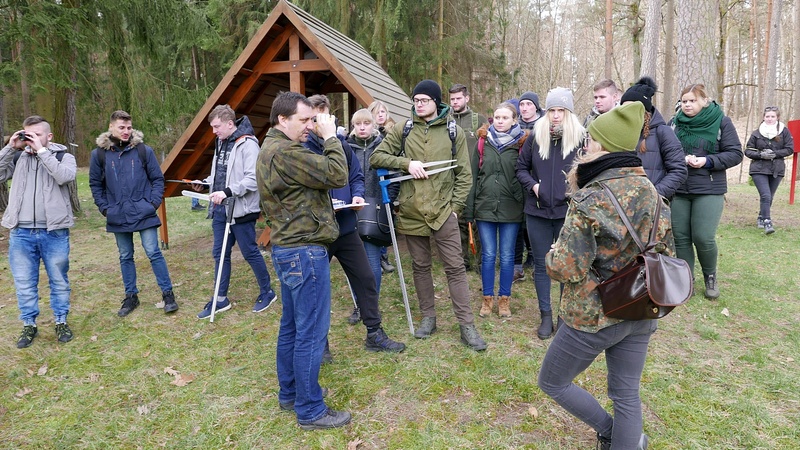 On April 11th, 2019 , an exercises “Forest Productivity” for students of the Faculty of Environmental Sciences and Agriculture UWM conducted by MSc. Eng. Sławomir Piętka were held in the forest area of the Research Station in Mikołajki. About 80 students made a basic dendrological measurements using traditional “manual” tools and modern electronic-optical equipment.